Best suited for small gatherings. Games of your choice include Blackjack, Roulette, Crown & Anchor, Casino Combat, Poker, the Hot Flush Spinning Wheel or James Bond Spinning Wheel Games. Suitable for small to medium size venues. The tables of your choice are from our range of five games where multiples of any one are available. Ideal for larger functions of 60 to 100 guests. Anticipated participation rate and level of other entertainment best dictates no. of tables suitable. This package is ideal for lavish corporate events and big fundraising operations. It’s a base package where the guest attendance is up to 500 and where other forms of entertainment are being provided. Should the casino entertainment be the main attraction, then additional tables and props are recommended. Same applies where the guest numbers are greatly higher than 500. Additional tables and props can be added to any package. Likewise, individual tables can be hired independently of props. All our packages and casino table hire includes delivery and pickup to within 40km of the CBD. Tables, props and equipment are setup well before commencement of your social event - usually several hours before the party begins. However, should your circumstances dictate, the casino can be set up closer to guest arrivals. Pickup time is similarly arranged to best suit you and/or venue owner. In most cases, next day pickup is the most convenient. 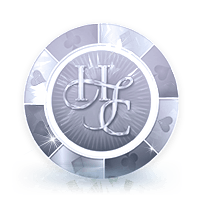 Hot Flush Casino books the professional croupier staff for you. As most games require professionally trained operators to ensure an authentic casino experience for everyone, Hot Flush table hire includes croupiers. The croupier services and rates are based on a period of up to three hours. Extended playing time can be arranged if required. Hot Flush Casino is not just about great equipment and great croupiers. We are committed to ensuring that your event will be a hit with everyone. My pride is on the line and I am passionate about wanting to provide the sort of service every party host deserves. An intrinsic part of what I offer is a natural willingness to share my knowledge and experience in discussing your party requirements. 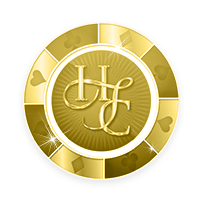 Whether you are the host of a small private party, an employee organising a staff social function or a professional event manager of large corporate events, Hot Flush Casino is dedicated to assisting you. The decision-making process of what games and props to hire need not be stressful. There are three main factors that determine the potential scope of your casino party. The size of the intended venue; the anticipated guest numbers; and budget. These factors pretty much dictate the number of casino tables most suitable for your party. Should budget be your main priority, and your choice of what to hire is based upon that virtue, that is not a problem. Hot Flush is passionate about providing great service and providing a fun and exciting time. We can recommend ways and means of amplifying the vibe of your casino party. Suitable casino-related and/or casino-theme music is a start and we can help out with a list of songs your guests will love. We have affiliates in the field of general party hire, as well as showgirl dancers, Elvis Presley impersonators and the like. 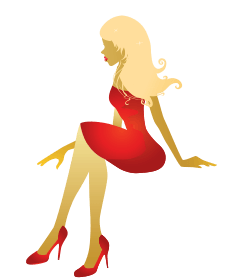 Hot Flush can also recommend specific event organisers or event stylists should they be required.